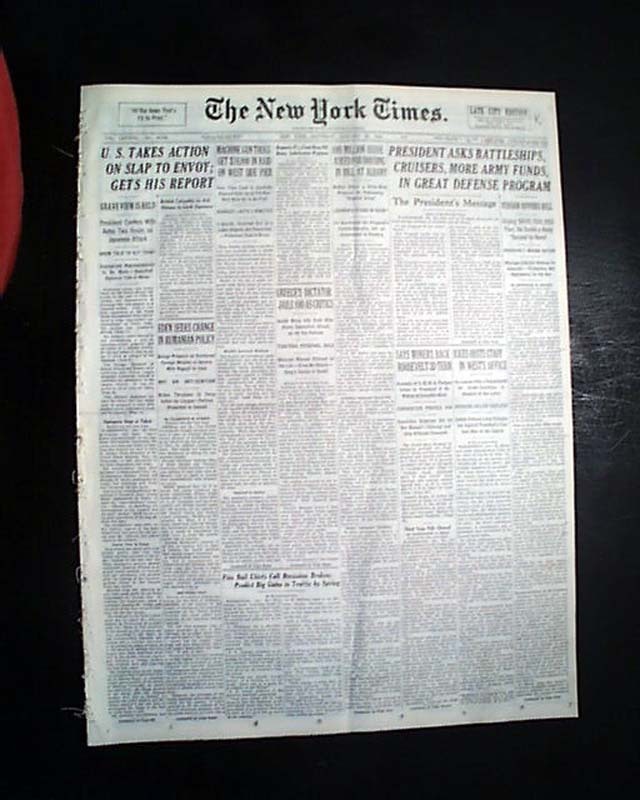 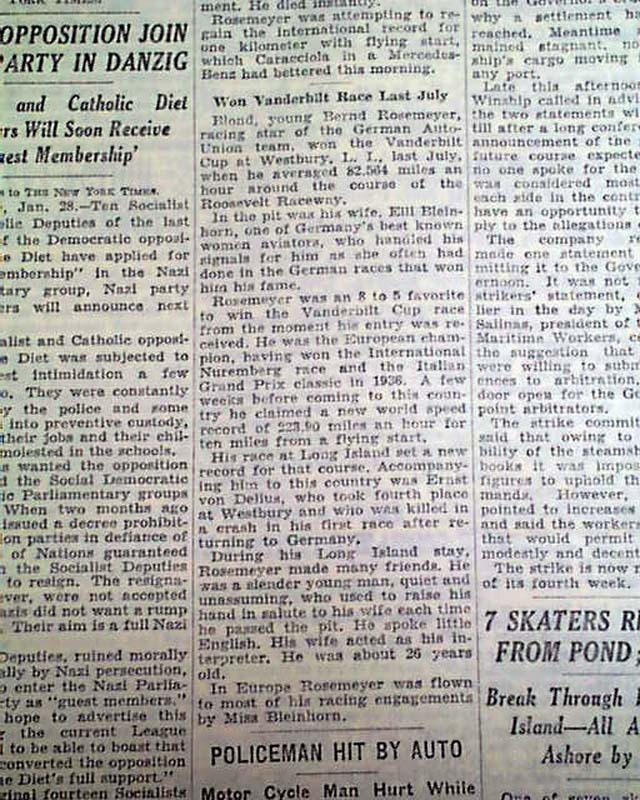 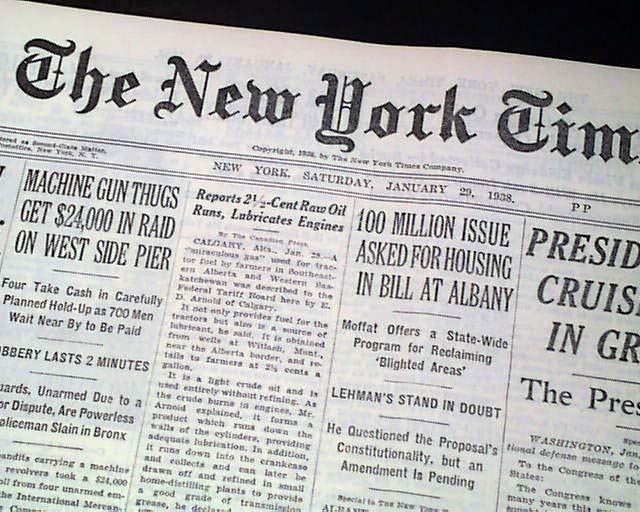 The top of page 8 has a one column heading: "ROSEMEYER, RACER, KILLED IN GERMANY" with subheads and photo. 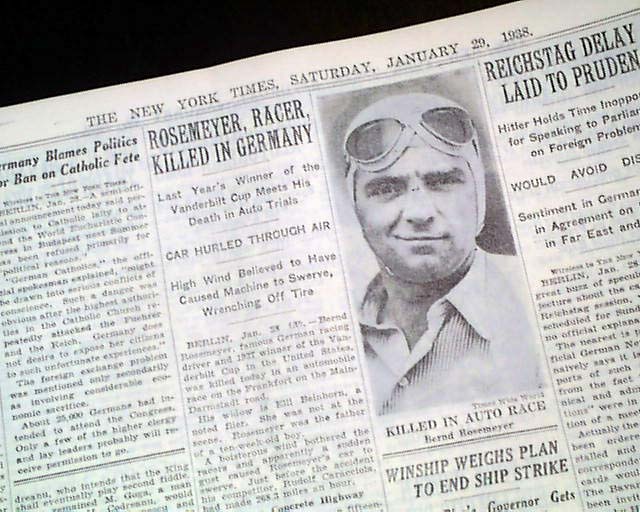 (see) First report coverage on German racing driver and SS member Bernd Rosemeyer death. 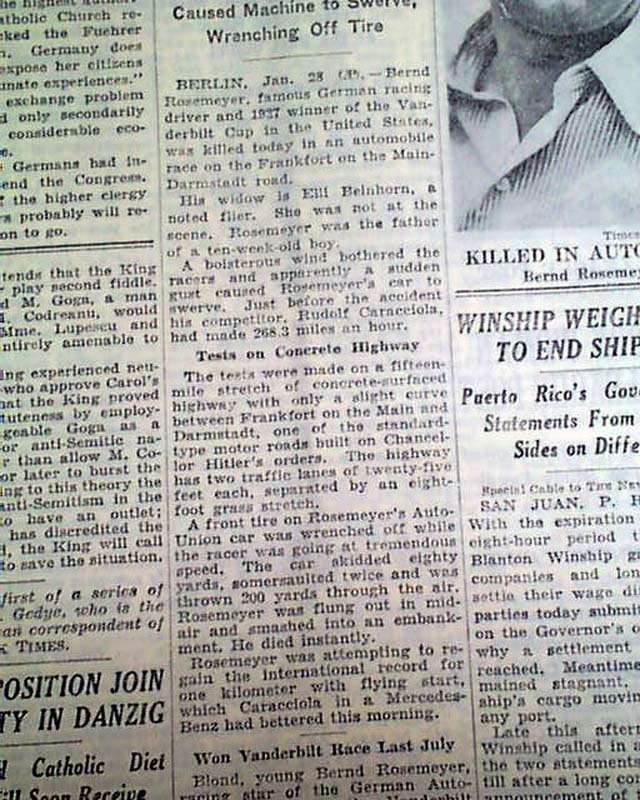 He was killed on the Autobahn while attempting to break the land speed record.